The Bally label is known for sleek silhouettes and a subtle luxury that is only obvious to close followers of high-end fashion. With that attention to detail and commitment to maintaining a classy brand, it’s no wonder the Swiss label can command $1,200 or more for its full-size leather handbags. This rare sale find is a real steal. 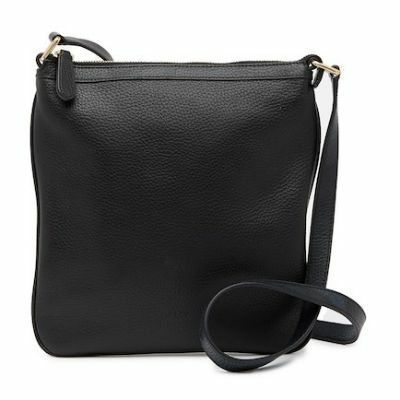 Regularly priced at over $700, this 10” x 10” x 0.85” slim leather crossbody in timeless black leather is massively marked down. It features an adjustable strap, interior zip pocket, and interior mobile phone pocket, and comes with a dust bag. → Buy the Bally Vyna Leather Crossbody Bag, $199.97 (was $708.00), at nordstromrack.com; this item ships for free.